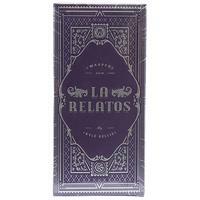 La Relatos in Spanish means "the stories," and it's a fitting name for this Warped series, as the line reflects back on the company's early days and, more specifically, one of founder Kyle Gellis's original blends. La Relatos: The First begins with an Ecuadorian Habano wrapper and features vintage Nicaraguan fillers in Corojo '99 and Criollo '98. A slender, 6 x 38 Petit Lancero, The First comes in packs of five, which also hearkens back to when Gellis first started Warped. 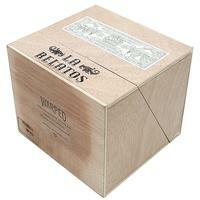 The first of three total vitolas in the La Relatos line, The First offers a flavor profile marked by rich coffee and spice, with a subtle vanilla sweetness and hints of leather. 5% Off Five Sticks: $44.17 ea. 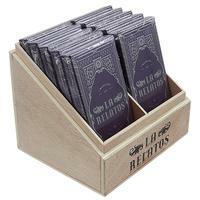 10% off box (50): $41.85 ea.